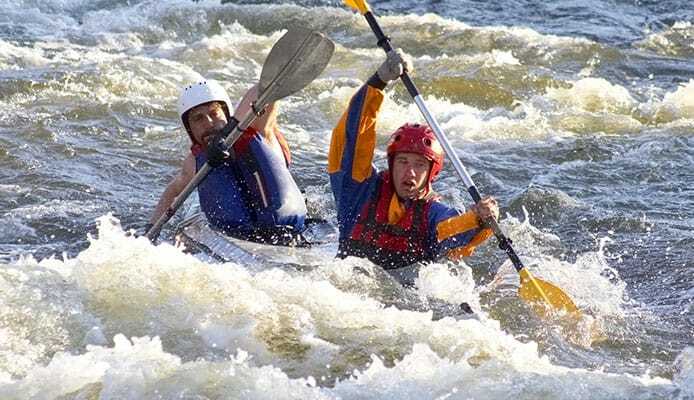 If you’re looking for the best kayaking gloves then you want to make sure that they are both durable and comfortable. For anyone who has been out on the water for a long period of time without gloves knows how essential they can be. 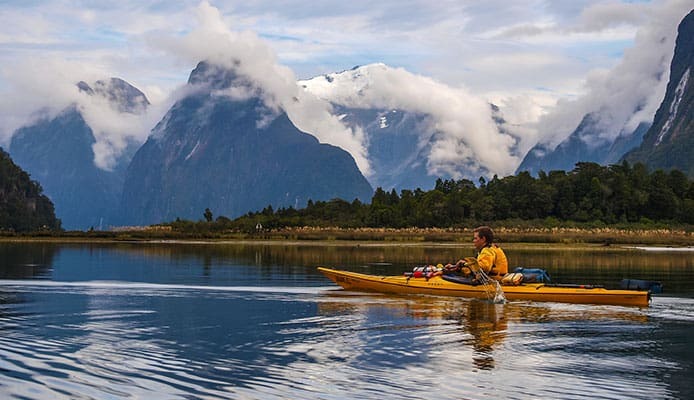 Planning your adventure without the best waterproof gloves for kayaking could leave you open to blisters and sores which will make it painful to move your kayak and it could ruin your trip. Here we check the kayak glove reviews to bring you the top rated kayak gloves on the market. So if you want to give your hands the protection they need, read on to find the best kayaking gloves for you. NeoSport has made a very tough fingerless glove, but also one that will be flexible and comfortable to wear. It is made of soft spandex material but also has a padded leather palm. 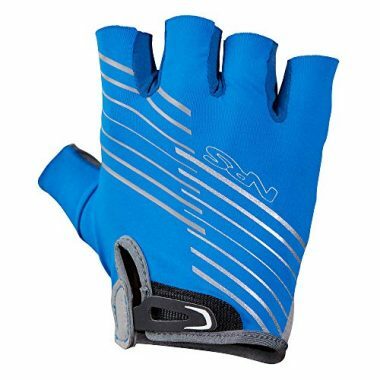 It has a comfortable fit that won’t cramp up your thumb and can be used for all watersports including kayaking. It’s made out of breathable materials and the strap will give it a very secure fit. These gloves from The Fishing Tree will give you the highest level of protection. They are unisex and provides full UV protection of UPF and SPF 50+ so you know that your hands are always going to be protected from the sun. 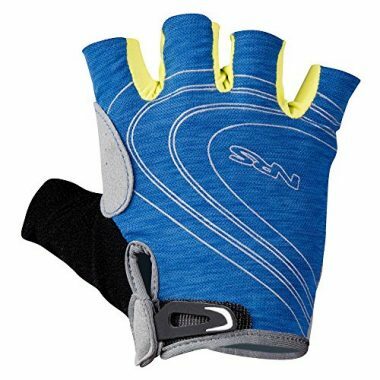 They are high-quality gloves that are machine washable and can be used for many activities like cycling and rowing as well as kayaking. They are quick drying and will give you all the protection that you need while you’re out on the water. These are a good-looking pair of gloves from Glacier that will give you all the protection that you need from the great outdoors. They come in either blue camo or grey colors and will provide you with the 50+ UPF protection that you need. The material they are made from id breathable and also quick drying which makes them great for kayak use. They have a solid leather palm making them very durable. These MRX gloves come with a fun design and give a high level of protection to your hands and fingers. 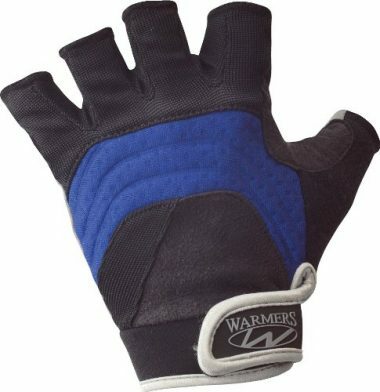 They are made from high-quality material and come with a 4-way stretch fit which will keep your hands feeling comfortable. The hook and loop closure system will ensure a tight fit and will be perfect for a range of activities and are great canoeing gloves as well as kayaking. They also come in a range of different colors to suit anyone. 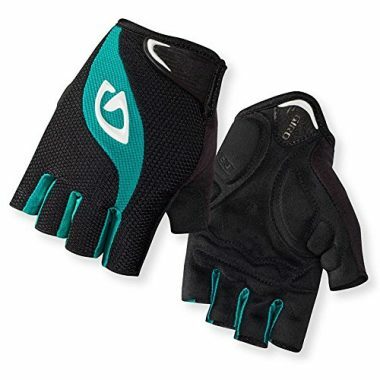 These gloves from Giro and are women’s paddling gloves and come in a range of different colors which can be great if you’re looking for custom design. 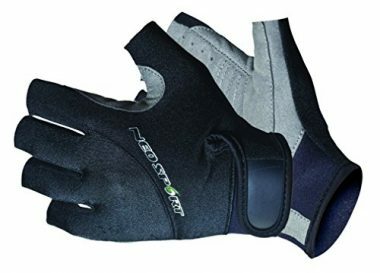 They are made out of a breathable mesh material and are quick-drying, but also stretch in multiple ways so your hand will always be comfortable. They have a high level of padding on the palm which will always keep your hands protected. If you’re looking for a glove that will be perfect in cooler waters when this could be the perfect glove for you as it has the full glove which is 1.5mm thick so will help you to keep in your body heat in those cooler waters. They have a range of great colors which are brighter than most for those that want their personality to shine through. A lot of these gloves are fingerless which can be great for specific uses, but here Glacier has a full neoprene glove that will be completely waterproof. It was pre-curved fingers that will add to your comfort with a seamless palm design which won’t lead to any discomfort in your hands. It has a strap across the wrist which will firmly keep the glove in place. This is a durable glove which will last for a long time, but also one that is lightweight which will give you full control over your glove. It will offer you a high level of grip but still gives you a skin-like feel on your hands. It is made from neoprene and comes with a strap for secure fastening. It’s easy to wash and will protect your hands, but without restricting your movement like other gloves can. This is another glove designed for men which ticks all the boxes when you’re looking for the best kayaking glove. 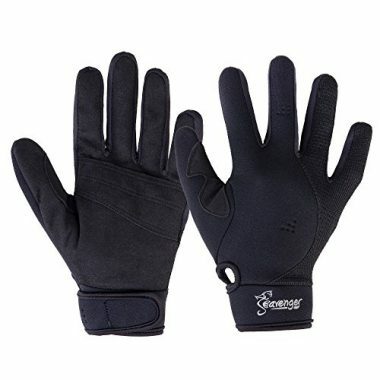 It is made from a nylon-spandex blend which will give you a high level of comfort with a synthetic leather palm. It comes with a low-profile strap which won’t catch on anything while you’re in the boat. 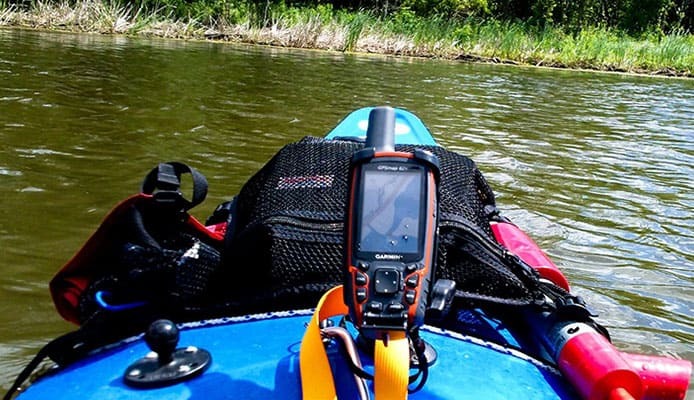 The glove which is design will give you everything you look for in a kayaking glove. 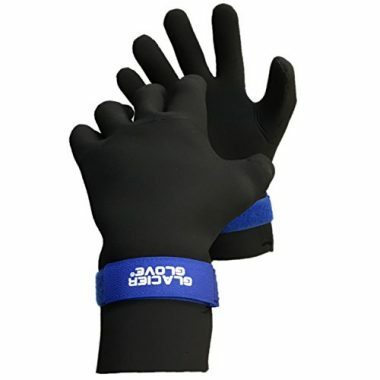 It has a lightweight quick-drying material which will also be very comfortable on your hand which a great level of grip. 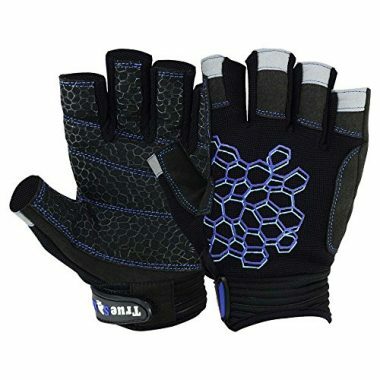 It also has a fleece panel on the back of your hand which can be great for wiping away sweat. It has a tight fit and gives full sun protection. The material you need depends on your use and when you’ll be kayaking. Under the sun then you’ll want to be looking for a nylon/spandex gloves which will be light and allow your hands to breathe. There are thicker gloves for when you’re in colder waters and these should be neoprene waterproof gloves. There is a balance here as on a kayak you want to be able to still have full control over your hand but you also want the highest level of protection. If it’s cold then you will have no option but to wear thicker winter kayak gloves, but when in warmer weather you’ll want your hands to stay light and loose. 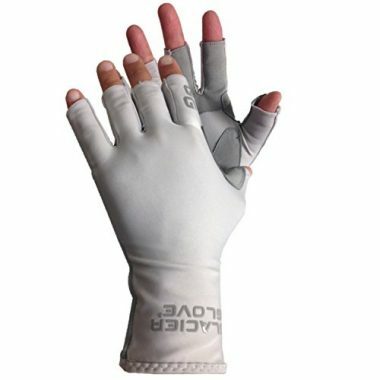 If your hands are particularly vulnerable to getting sore, then you’ll want some extra padding. 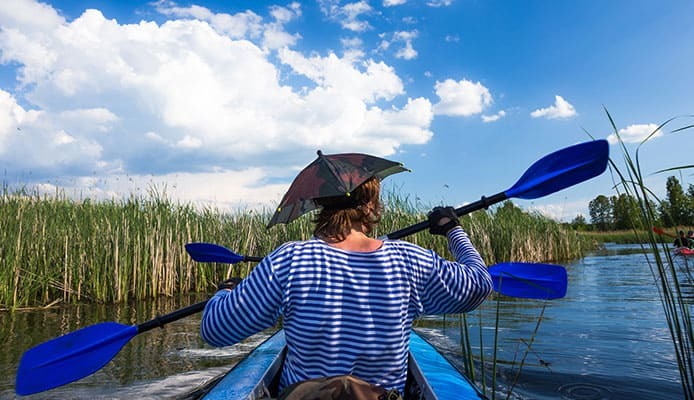 Unlike most other gloves where you can get away with them not fitting you perfectly, kayaking gloves need to have a perfect fit so that your hands remain flexible, but they also remain protected. An uncomfortable fit will give you blisters and cause soreness. When buying gloves, double-check what size hand you are. A lot of gloves come finger-less and others come with a full finger. This can be a case of personal preference, but the main consideration here is the weather. Most people would want the extra control that having your fingers free can bring, but if you’re in colder weather then take the safe option and opt for the full finger. Q: Do I need kayak gloves? A: Quite simply, yes. When you’re in the kayak you are using your hands all the time to do everything. If you’re not paddling then you’re tying knots or casting out a fishing line. Very quickly you will find that your hands get sore and you start to develop issues. Your hands need that protection. If you’re in colder weather then they are essential to keep you warm. 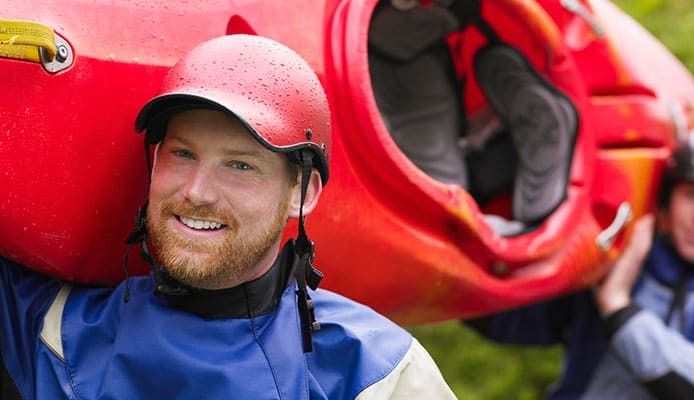 Q: When to use kayak gloves? A: Some people don’t like wearing gloves, where others feel comfortable wearing them all the time. If you can only tie knots when your hands are free then it’s fine to take them off, but whenever you’re paddling, you’ll need that protection. 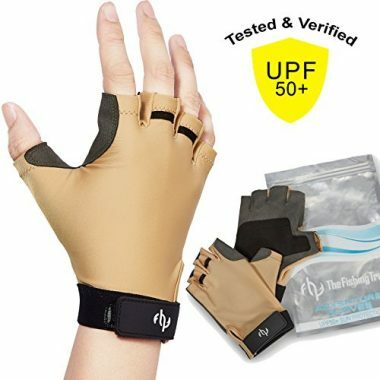 It’s best to keep them on at all times as they can be used for everything and not only protect your hands from constant abrasion, but also from sharper objects. There are many important kayak accessories out there, and getting a good pair of gloves is one of them. When you’re out on the water waterproof paddling gloves are essential in order to keep your hands protected. The main consideration is the temperature of the air and the water that you will be in and how much protection that you have on the palm. Once you know that then you can go through the buying guide and choose the perfect gloves for you. The last thing you want to do if get out there and have your trip ruined by not having the best clothing and not buying the best kayaking gloves, as anything less could leave your hands in pain.